This government office is responsible for a lot more than you may think. The National Oceanic and Atmospheric Association, better known by the abbreviation NOAA, is one of those government bodies that operates in the background of your life. But even though you’re usually unaware of its existence, it’s vitally important. 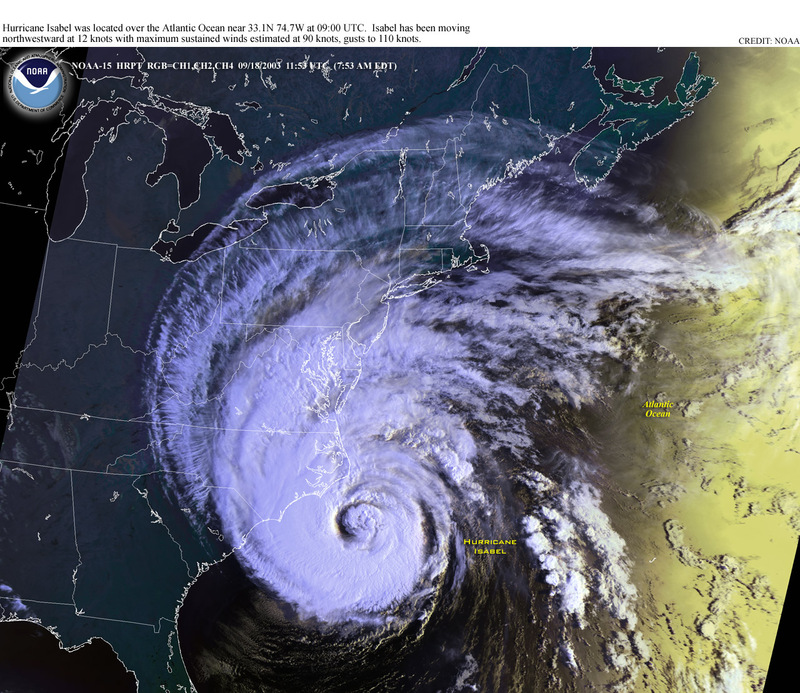 NOAA provides weather and climate data to a huge range of other government offices, as well as to private companies and directly to the people. Crucial government services such as weather tracking and hazardous material cleanup fall under the purview of NOAA, too. But these services could be at risk. This week, The Washington Post reported that the White House has proposed an unprecedented 17 percent cut to NOAA’s 2018 budget. In light of this news, Inverse composed a list of the top five services we could stand to lose if NOAA’s funding is cut. The National Ocean Service, a department of NOAA, is responsible for helping coastal communities protect themselves from storms and the growing effects of sea level rise. If NOAA is defunded, the National Ocean Service will have fewer resources for coral reef conservation, estuary zone protection, and habitat research that will allow coastal communities to better prepare for natural disasters. Ever heard of the National Weather Service? Well, it’s part of NOAA. When you get a push notification on your phone that tells you about a coming storm, where do you think the associated data come from? That’s right. NOAA satellites. Budget cuts to NOAA could hurt our ability to track weather events like hurricanes and prepare properly for them. According to NOAA, weather monitoring only costs Americans $3 per year. “Cutting NOAA’s satellite budget will compromise NOAA’s mission of keeping Americans safe from extreme weather and providing forecasts that allow businesses and citizens to make smart plans,” former NOAA administrator Jane Lubchenco told The Washington Post. Are we starting to see a pattern here? NOAA is behind a lot more than you might think. The Office of Response and Restoration is the NOAA office responsible for helping coastal communities clean up after hazardous events like oil and chemical spills. This is the office that spearheaded the response to the devastating 2010 Deepwater Horizon oil spill in the Gulf of Mexico that released millions of barrels of oil into sensitive fisheries. Cuts to NOAA funding could put this office at risk. The insurance industry relies on NOAA for accurate, localized data on flood patterns and weather trends. These data form the basis of the risk management calculations that allow insurance companies to properly assess levels of insurance for homeowners. I simply could not do my job without NOAA data. It is invaluable to the insurance industry for proper risk management. Sea Grant, a program that supports 33 college programs that do research on coastal and oceanic health, could be cut entirely under the proposed budget. The $73 million program helps train the next generation of fisheries, climate, and coastal ecosystems researchers. But under the new budget plan, these programs would lose funding. This proposed budget, which is based on documents obtained by The Washington Post, is not yet finalized. The final numbers could end up being different from the ones currently reported. Hopefully, the government will listen to scientific experts and refrain from making such drastic cuts to the NOAA budget.